Fargo, ND – 1,403 students from 49 North Dakota high school teams are participating in the North Dakota State High School Clay Target League (NDSHSCTL) 2018 spring trap shooting season, which began April 1st. Last year there were 908 students on 38 teams. The league’s co-ed and adaptive nature are key attractions to high schools in North Dakota. The league is fully Title IX compliant with both male and female athletes competing on the same team. Additionally, it’s an ‘adaptive’ sport, which allows students with physical disabilities to take part. Upon completion of the Spring League, all student athletes are invited to participate in individual and team competitions at the 2018 State Tournament. 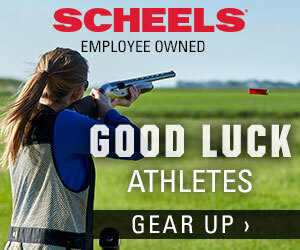 The event is scheduled for June 16th-17th at The Shooting Park in Horace, ND. 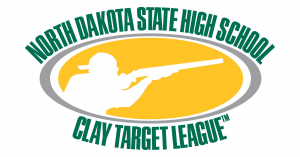 The North Dakota State High School Clay Target League attracts student athletes to participate in shooting sports while creating a “virtual” competition among high school teams throughout North Dakota at no cost to the schools. Family travel costs are minimal because practice and competition are conducted at a shooting range near the school’s location. The League is also the safest sport in high school, with no reported injuries since the inception of the League in 2001.Conferences are determined by team size rather than geographic location for fair competition. 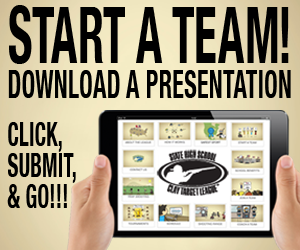 Athletes earn True Team® scoring points as determined by their performance and ranking against all athlete scores within their team¹s conference. The team score and overall standings are calculated and posted on the League’s website. Athletes and their families may track their individual and team performance on their computer via the League’s website, and by the Shooter Performance Tracker® mobile app. The North Dakota State High School Clay Target League is an affiliate of the USA High School Clay Target League, a 501(c)(3) non-profit organization. The League is an independent provider of shooting sports as an extracurricular co-ed and adaptive activity for high schools and students in grades 6 through 12. The organization’s priorities are safety, fun, and marksmanship – in that order. Each student is required to pass a comprehensive firearm safety education course prior to participation.